The December 2018 signing period has passed and the Penn State Nittany Lions will once again be celebrating another strong recruiting class. 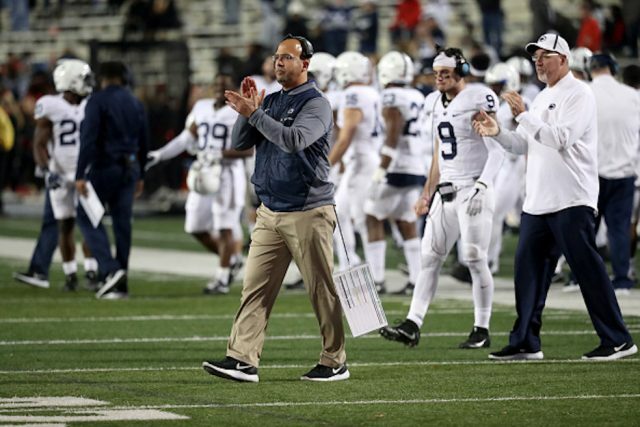 Penn State’s 18 commits for the 2019 season give the Nittany Lions the second-best recruiting class in the Big Ten and the tenth-best recruiting class in the nation according to 247 Sports. Inside linebacker Brandon Smith was the only five star that James Franklin and company managed to haul in, but they more than made up for it with a whopping 16 four-star recruits and an additional three-star player. Nine of these players are ranked among the ESPN 300. The team has their quarterbacks of the future with Oregon native Michael Johnson Jr. and Taquan Roberson who are both believed to be a dual threat type players. They made another recruitment splash out of Florida with the surprise commitment of running back Noah Cain. Penn State now has two four-star running back coming in the class of 2019. James Franklin managed to strike gold at seemingly every single position, but there are still questions at wide receiver and the front four. The Lions suffered mightily from drops and lack of wide receiver depth (or development) in 2018, but their only new wideout is four-star John Dunmore. Andy Frank and James Franklin have once again piled together a top-tier recruiting class, but now it’s up to the rest of the coaching staff to develop their new players in championship necessary form.